“I’m only 14 years old and I don’t want to die, but I know I am going to. 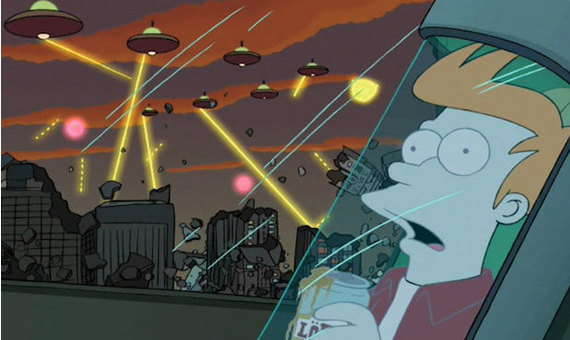 I think being cryopreserved gives me the chance to be cured and woken up, even in hundreds of years time.” J.S. was suffered from a terminal cancer when she sent these words to the British judge Peter Jackson for the magistrate to help her fulfill her desire to be cryogenically frozen. The affirmative decision of Jackson made headlines around the world and once again sparked debate on this controversial technique, surrounded by decades of legends and rumors, which some criticize as containing more fiction than science. The official purpose of cryopreserving is to freeze the body at minus 196 degrees in the hope that science will one day advance enough to find a treatment and revive the person in the future. At present, there are only three companies in the world (two in the United States and one in Moscow) that are responsible for the storage of these cryopreserved bodies. It is a very delicate process that faces one major obstacle: the cells of the human body cannot be frozen (nor later thawed), because the formation of ice crystals would destroy them. “It cannot work! It uses an expensive and environmentally damaging method to store dead bodies. All that will happen is that when the body is thawed you will have a fresh dead body – life cannot be restored,” argues Simon Woods, a professor of ethics and bioethics at the University of Newcastle (UK) to OpenMind. Another of the limitations of this technique is the fracturing that can occur in different parts of the body when they are contracted by the cold at different speeds, says Juan Carlos Siurana, professor of Moral Philosophy at the University of Valencia, and director of research group in bioethics from the same institution. “Some authors think that the development of reparative technologies like nanorobotics can restore the damage. Or they even believe in the possibilities of developing 3D printers of new tissues or new organs in the future. It will not be necessary even to develop radically new technologies, but rather to perfect those that already exist,” he tells OpenMind. To try to avoid freezing the cells, the teams that are responsible for this technique follow a rigorous procedure that should start between one and two minutes after the person’s heart stops. 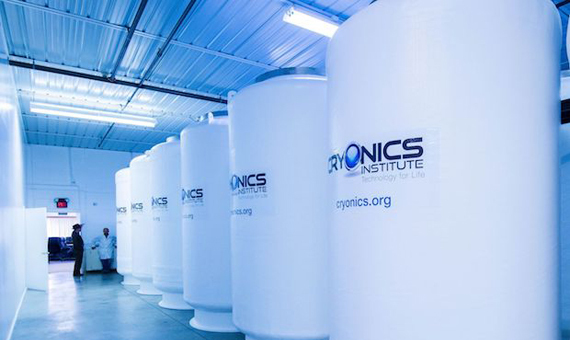 The non-profit organization Cryonics UK (whose founder has also been cryogenically frozen) is responsible for carrying it out in hospitals. The main step is to wrap the body in ice to reduce the body temperature to about 10 degrees Celsius during the first hours and until minus 70 degrees over the following three days. Between these two moments, the blood is replaced by a special solution that supposedly prevents clots and the formation of ice inside the body, according to the explanations given by the cryopreservation companies. The last step is to move the body to Arizona, Michigan or Moscow, where the companies keep them frozen in chambers with liquid nitrogen. Anders Sandberg, research fellow at the Future Institute for Humanity at Oxford University, believes that cryopreservation has become a highly controversial area that is better known in science fiction than in real life. “People who want to be cryopreserved are like refugees from the present, fleeing to the future because they can’t survive here. There’s a good chance they won’t make it – but it beats the alternative,” the researcher told The Guardian. The exact figures on how many people in the world have opted for this choice are not known. “I have wanted to do it since I heard the story about Walt Disney doing it,” British citizen Tom Gibson told the BBC recently. The story about the famed creator of Mickey Mouse is one of the great legends that circulate about cryopreservation after Robert Nelson, president of the California Cryogenics Society, said in 1972 that Disney wanted to be frozen. However, the reality is that he was cremated on December 17, 1966, two days after his death. J.S. became “Patient 143” in the liquid nitrogen-filled white tanks of the Cryonics Institute of Michigan (USA). Hours after her insertion into the tank, “Patient 144” entered, a 56-year old millionaire whose corpse arrived by private airplane. “The Court decision just gave publicity to the practice. For most people it is too expensive to be a serious option. If people have the money and want to spend it on an improbable future outcome then that might be ok. If there is a problem then it is because people are given false hope and potentially exploited. When it is highly improbable, I would say impossible,” Woods says. Could we Live 500 Years?